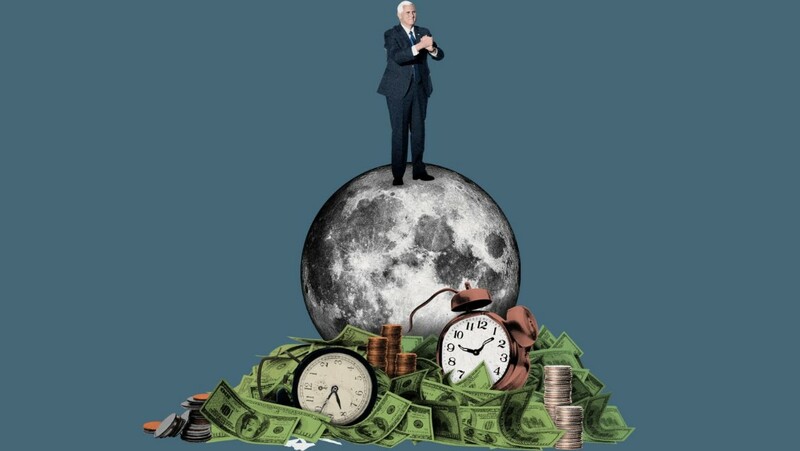 Pence announced that they are going to send Americans to the Moon no later than 2024. Michael Richard Pence is an American politician and lawyer serving as the 48th and current vice president of the United States. He previously was the 50th governor of Indiana from 2013 to 2017 and a member of the United States House of Representatives from 2001 to 2013. “Make no mistake about it, we’re in a space race today, just as we were in the 1960s—and the stakes are even higher,” Vice Pres. Mike Pence said at a meeting of the National Space Council in Alabama on Tuesday. Pence mentioned China’s Chang’e 4 mission, which landed a robotic probe on the far side of the moon in January. The mission “revealed [China’s] ambition to seize the lunar strategic high ground and become the world’s pre-eminent spacefaring nation,” Pence said. “If the United States is racing to return to the moon, it is racing against itself, not China,” Gregory Kulacki, a space analyst with the Union of Concerned Scientists in Massachusetts, told The Daily Beast. The last time when Americans have realized a mission to the moon it was NASA’s Apollo 17 in 1972. Since then, all moon exploration has been the exclusive purview of unmanned probes. By the way you can read our article “Who are These 12 Astronauts That Landed on Moon?”. According to www.thedailybeast.com “For more than year, President Trump pushed for a “Space Force”—a new military branch for space—after coming up with the idea on the fly during a campaign rally. But Congress balked at the cost and redundancy, and instead approved a new “space command” bureaucracy within the Air Force”. Previous Previous post: When Was the First Computer Invented? Next Next post: When Was the First Smartphone Released?